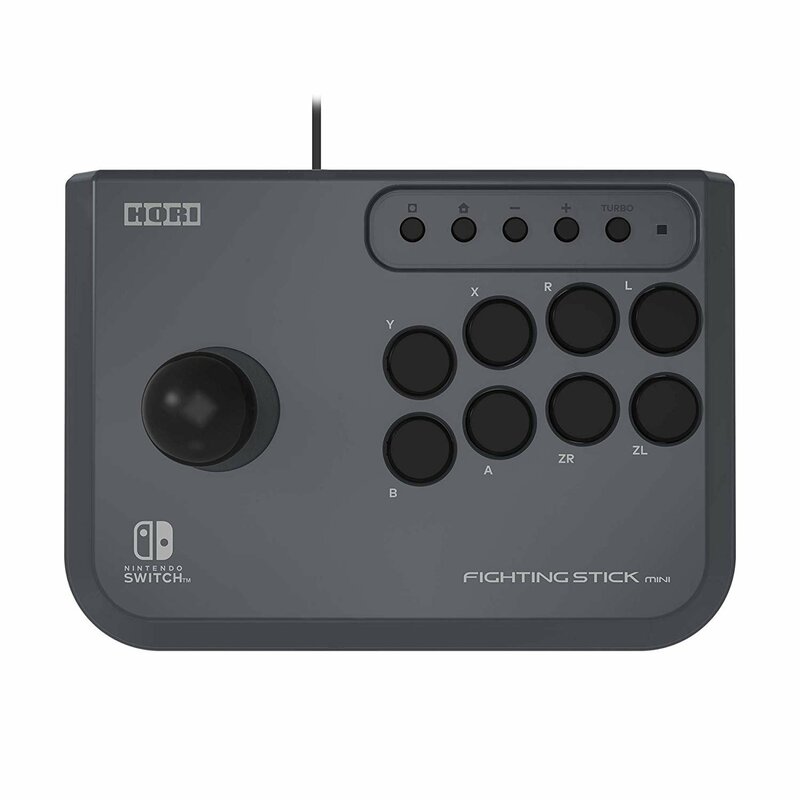 Gaming accessory maker Hori has revealed the Fighting Stick Mini for Nintendo Switch, a portable control option that looks ideal for your classic beat 'em up needs. Said to fit comfortably in your hands, this new release scraps the standard Joy-Con and Pro Controller button layout to provide you with that authentic arcade feel. Each of the Switch's usual buttons are mapped to the eight buttons on the front of the unit, with the joystick working exactly as you'd expect. You can see it up-close in the images below. 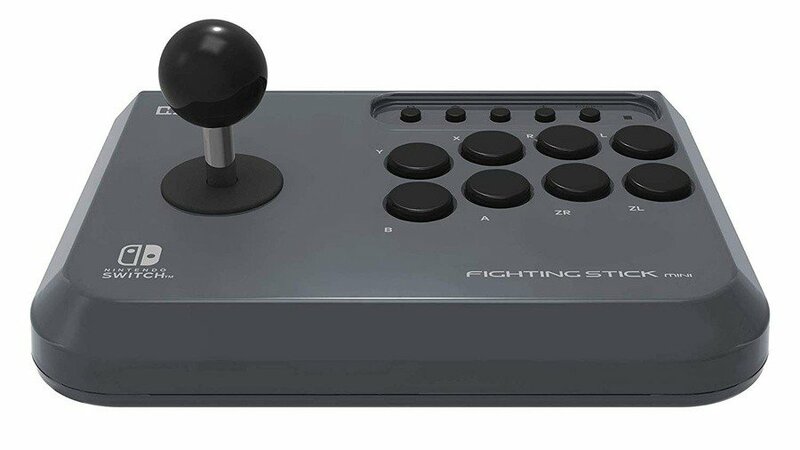 It's scheduled to release in Japan this April (pre-orders are now being accepted at Amazon Japan with worldwide shipping) and seems to be a re-branded version of the PS4 Fighting Stick Mini. Both of these products are officially licensed by Nintendo and Sony respectively, so you should be able to expect a high level of quality from both. 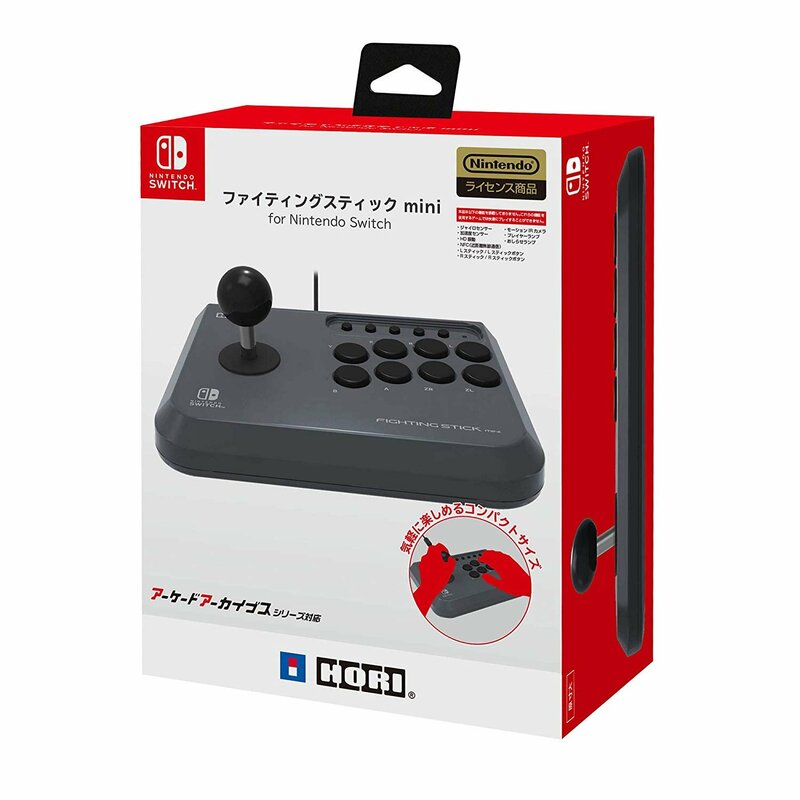 It also serves as a miniature version of the previously released Hori Real Arcade Pro, a more expensive and considerably larger option for the most eager of fighting fans. Naturally, this option is a premium version of the product - and has reviewed well amongst buyers on Amazon - but it'll cost you considerably more. The Mini version above costs just over £35, whereas the Pro is available for £113.23. 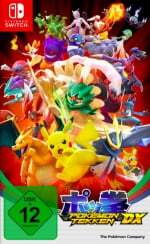 With the Switch's great library of fighters - Street Fighter 30th Anniversary Collection, Pokkén Tournament DX, and Super Smash Bros. Ultimate to name just a few - one of these could be a nice little investment. 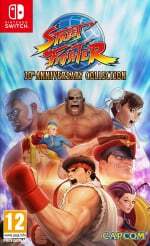 Are you a keen fighting game fan? Do you like to use traditional fighting stick setups? Let us know in the comments. And people said the Pro controller and the Joy-Cons were expensive. Seriously, I don’t care if it’s first class, a controller should not cost more than two full prices games. The Pro model, I mean. The Mini actually looks pretty nice for a decent price. I am 37 and play since 1990 where these sticks were long gone and Arcades were already dead. Authentic for me is an Infrared Pad! Be gone with this overpriced stuff! I already own the Mini one for PS3... as they're all USB, it makes double dipping feel silly. Good thing that's coming out early March and is readily available for pre-order on Amazon. I have an M30 pre-ordered, really looking forward to it for Sonic Mania Plus. This fight stick does look pretty sweet, but it's of an era of gaming I'm not part of. What's the point? I mean, if you want to play with an arcade stick you have to do it at home, and there you can use a bigger one. I don't see people using arcade sticks in tabletop mode, right? I stick (no pun intended) to my Mayflash F300, which works with PS4, PS3, Xbox One and PC too (and Xbox 360, but with wired controllers, and I don't have one and won't buy it, so in the end I download digital 360 games into my Xbox One in order to bypass this problem). 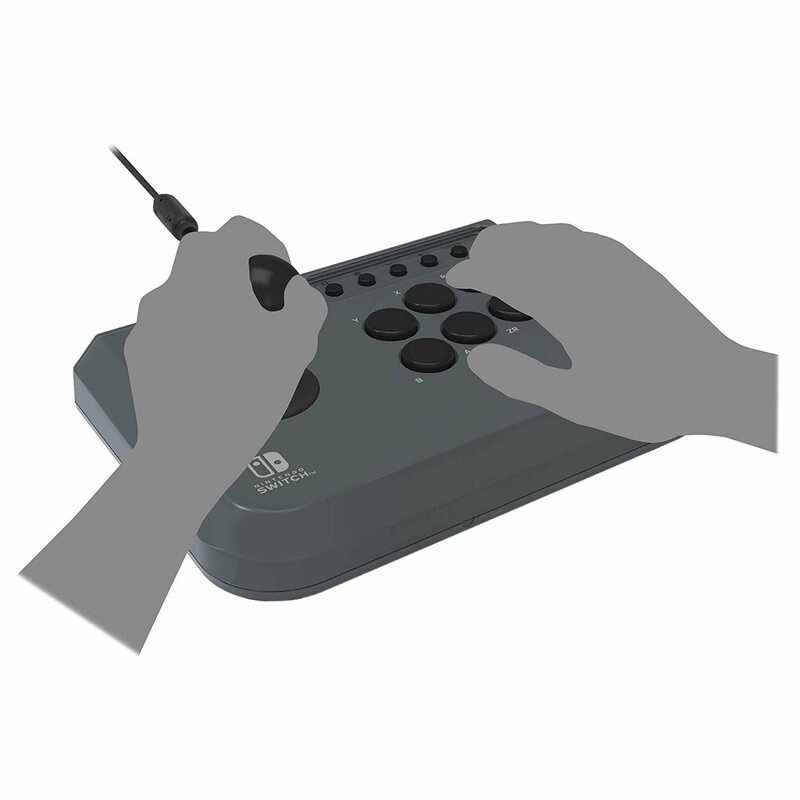 @adh56 If you already bought the SNES Mini Hori fighter pad, you could technically also buy the 8bitdo gbros that allows wii classic/nes mini/snes mini controllers to work with the switch. But both use batteries, so you will feel stupid connecting a wireless controller to a wireless adapter. @SteveF The arcades were dead in 90' ???? Nobody reads...it's around £35 only. Shame it's wired. Any reason this couldn't be Bluetooth? My brother just bought a different one, and that works with all consoles, PC, and is still cheaper than this. It's also super high quality. Not a bad price, this might be a fun trinket. Not a good Arcade Stick. My advice, based on my experience, you'll need to look elsewhere and spend more should you want an Arcade Stick you'll be happy. This is NOT a good item. @romanista Faq latency. Couldn't they at least be optional wired/Bluetooth (i.e. cable can be detached)? They're not gonna be any slower than existing joy con Bluetooth. @GyroZeppeli The Pro version costs £113.23, the Mini this article focuses on costs just £35. Also, I can't speak for these sticks in particular, but in general for the people who play fighting games competitively the quality and behaviour (for lack of a better term) of the sticks makes a world of difference and is well worth the money. £35 makes this stick worthwhile for tight arses like me! Let's go! @nab1 I updated my post to clear up confusion. While I do get that this is more for enthusiasts than anything, I personally don’t think the price leap is justified. Even with the Xbox Elite and adaptive controller I can sort of understand it because of all the QoL improvements they have. Would want something like that more for space shooters than for fighters, because I've never been able to play fighters worth a crap with a stick. It's funny. I see that and think "great controller for Ms. Pacman". @adh56 I'm amazed were getting one at all. The world seems so fixed on the 4 button layout. I'll be getting one for sure. @adh56 It's really cool. If you've bought an NES classic or an SNES classic, that means you can play your Nintendo Online games with those controllers ! @geox30 I'd kiss you for this post. I mean, it almost costs as much as the controller itself, but that's helpful. So Neither one of them are wireless that defeats the purpose of couch gaming. Where is the wireless fighting stick? That's really neat, a budget mini-RAP. It's cool this exists! @GyroZeppeli Fight sticks are just expensive, partly because they're niche, and partly because they're industrial controls built to last through intense commercial abuse, and has all replaceable parts. It's literally a commercial arcade cabinet mounted in a plastic box. The nice thing, is, usually, though they're platform specific, Brook and others make adapters that you should be able to keep a stick for a long long time. I love the XBox Elite, but technically the fight sticks offer more value. The Elite is still a controller with wearable sticks. The fight sticks have modular components that can individually be replaced with off the shelf commercial parts. So long as adapters exist they should last a lifetime. In that sense the controller offers more value than the console that has a limited functional lifespan. Tempted to get one of these, rip it to pieces and put it in a full size, home made custom case. Would be a fun project. Yeah sorry not all countries were fond of putting coins in machines when Home Consoles flood the market and were easy to get. So I apologize and like to correct myself: in my country Arcades were dead in the 90s. R on the L and L on the R? What? @Tedikuma likewise. A decent budget stick tbf. The mini is sensibly priced, but the Pro version is disgustingly overpriced. In fact, they recently released it officially in Australia for AU$330! Meanwhile, Play-Asia has it for a little over AU$200 (from memory). Wow, I love it. Something like this was just what the market needed. I'm seriously tempted to get a couple of these for £35 each. @purpleibby Yeah, Killer Instinct Gold (N64) could've been the start of something beautiful. @Rubbercookie Indeed, KI for the super nintendo is one of my fav. games on the system(all time). I think it's one of the best console fighters of all time. It was wonderful that the Nintendo name donned those arcade classics. They should be with nintendo today. 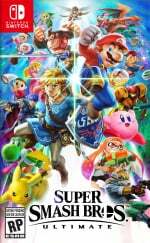 Back then I thought Nintendo was on top of the world....they had the best fighter(KI), best sci fi exploration(Super Metroid), one of the greatest Zeldas(LTTP) and so much more....they were on top of the world then. These are timeless undeniable classics that transcend generations and are well known as being among the best games ever. 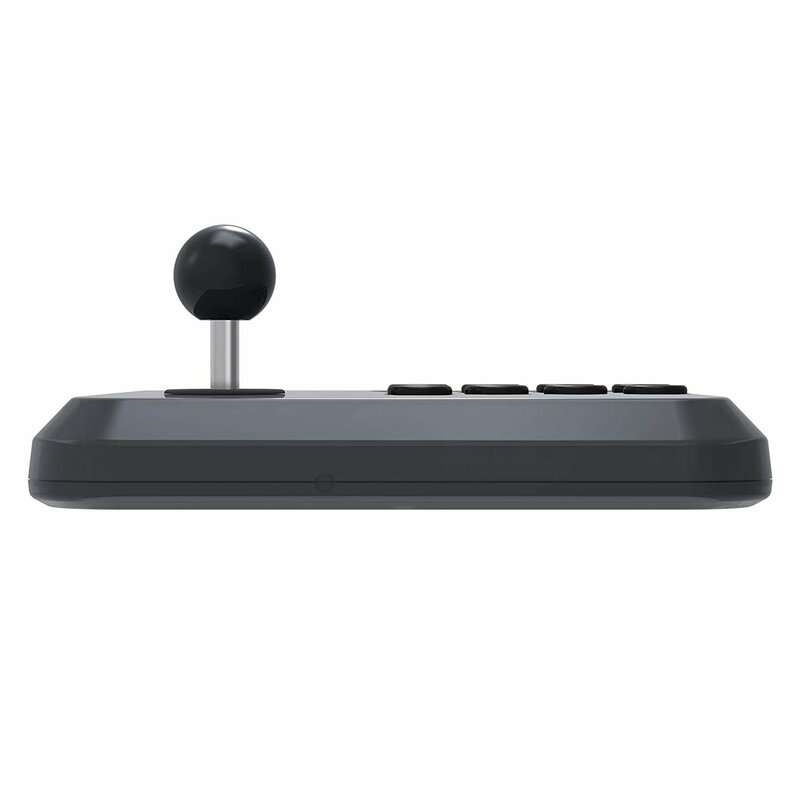 It'd be nice if there were some kind of Astro City cabinet-shaped stand you could slot this stick and the Switch into. 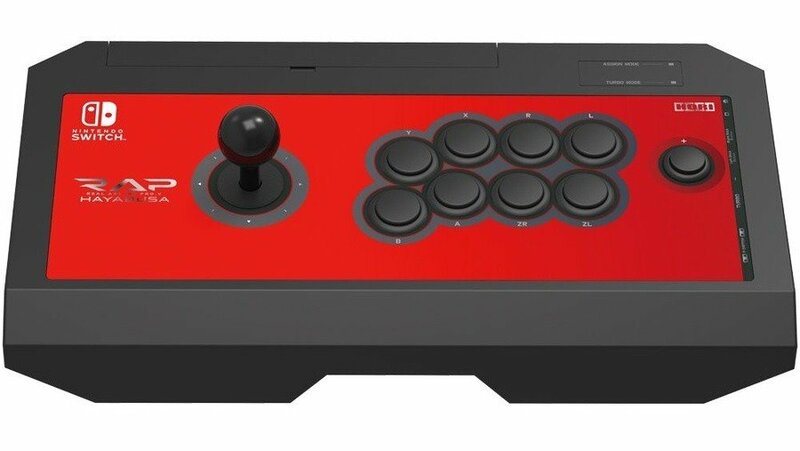 Anybody know if this stick's ball top and buttons are standard sized and swappable? I actually have this on PS4. It’s good, if you can keep the darn thing from sliding around. @Rubbercookie Yes, I custom ordered it. That's my machine:) TNT did an amazing job(good people, highly recommended!) Putting a retro arcade in my den. Also have an Atari Tempest(vector monitor, all original) arcade I've restored. Love arcade games! LOVE Killer Instinct! Ninty, you should have held on to that IP! @ToneDeath Nice idea really. At least it could be some LABO contraption in some sort. Really wish SNES, GBA and GC make it SOME DAY onto the switch. @Silly_G I got the pro around 12 months ago for £99.....I was well pleased with that.